"Test Shows How Shark Repellent Deters Hungry Bull Sharks"
Start the video below at the 08:50 mark, full-screen and watch as Co-Founder Nathan Garrison and the rest of the team successfully test our Sharkbanz Technology and our Shark Leash on as many as six (6) Bull Sharks (at one time!) in the Bahamas. 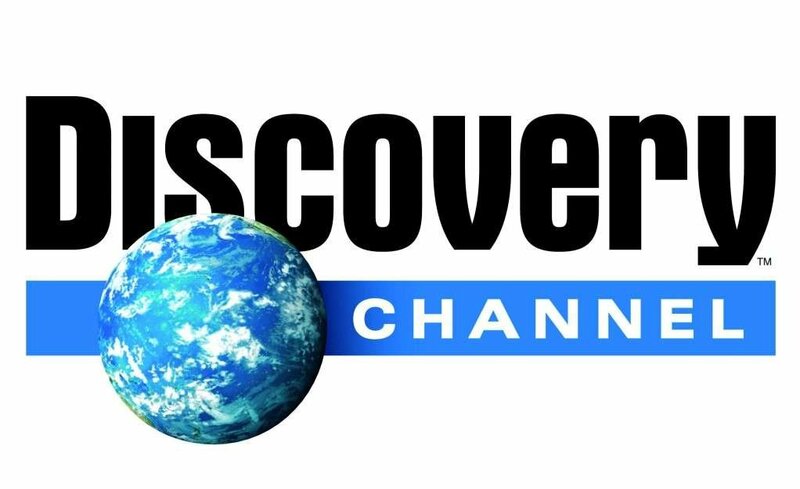 Filmed for Discovery Channel's 'Daily Planet' series. Aired March 28, 2018. While conducting some Bull Shark testing in the Bahamas this year, we unexpectedly encountered a Great Hammerhead only a few feet from shore - a rare occurrence! He was attracted to the bait in our dummy's (Bernie) leg meant for the Bulls and came in for an evening snack. Luckily for Bernie, he was wearing his Sharkbanz and the shark reacted noticeably with a distinct avoidance reaction (twice) before swimming off to find a meal elsewhere. The Bull Shark is widely considered the most dangerous shark to humans because of its aggressive nature and nearshore habitat. The magnetic technology inside Sharkbanz was first successfully tested on Bull Sharks several years ago, and this demonstration shows how effective they can be in a baited scenario. Most shark attacks occur in murky, shallow waters off the coast where there are a high number of swimmers and sharks sharing the same space. These unprovoked “hit and run” attacks are the most common type of shark bite, and Sharkbanz are an excellent defense against them. Using our test dummy, Bernie, we wanted to put our technology to the test in a simulated surf scenario. Even with bait in Bernie's leg, there were never any bites while using Sharkbanz. Without Sharkbanz, there were multiple bites. Our first filmed testing and open-water demonstration. Along with our scientific partners at Shark Defense, our team put on our Sharkbanz and jumped in with the sharks to show the technology truly "in-action". Although we wanted to show people just how much we believed in the effectiveness of the product, we do not recommend or encourage anyone to attempt demonstrations like this with Sharkbanz and wild sharks. A compilation of our testing sessions with the Modom Shark Leash (featuring Sharkbanz Technology) against Bull Sharks in addition to various other shark species such as Blacktip and Caribbean Reef Sharks. Over three days testing the Modom Shark Leash on wild sharks, all with the use of bait, we never recorded a bite reaction. When the Shark Leash was removed, bites occurred within minutes. The latest and greatest from the Sharkbanz Team with press spotlights on the product & brand. "You've heard of insect repellant -- but shark repellant?! We talk with SHARKBANZ about their innovative device." Sharkbanz Co-Founder Nathan Garrison sits down with GoDaddy CEO Blake Irving for his Small Biz Love series to "talk about the journey of an entrepreneur, prototyping, and taking [an] idea and turning it into reality." "LOS ANGELES -- The rise of shark sightings around Southern California has many people on edge, but a new invention is on the market to keep sharks at bay." Nightly Business Report's "Bright Ideas" segment, featuring interview footage with one of our best childhood friends, a shark attack victim and inspiration for creating Sharkbanz. The Henry Ford's Innovation Nation with Mo Rocca (CBS NEWS) explored the science behind Sharkbanz with senior marine biologist, Dr. Patrick Rice. Sharkbanz Co-Founders and father and son, David and Nathan Garrison appear on Fox News' 'America's Newsroom' to discuss what they have created with anchor Bill Hemmer. Surf, Blake Lively, Men in Grey Suits and Sharkbanz. Click image to read the article. Oldies but goodies. Our first media interviews. Our first international press coverage - this with The Today Show (Australia). Interview with Nathan Garrison, filmed in Queensland, Australia. Informative videos about our products and patented shark deterrent technology. A helpful intro to our products and their benefits. Learn about our patented shark deterrent technology and how it works, the research & testing behind the science, and its intended uses. Hear from big-wave pro surfer Mark Mathews as he explains the innovative 'Shark Leash' by Modom x Sharkbanz and why it's a "game-changer".